The Nebraska Electric G&T (NEG&T) was incorporated in 1956, with the current twenty members joining shortly after the formation. NEG&T was organized under Article 7 Chapter 70-701 through 70-738 (“Electric Cooperative Corporations”) of the Nebraska State Statutes. The NEG&T By-Laws were drafted to adhere to those state laws. The cooperative concept was, and still is, the principle that governs the operation of Nebraska Electric Generation & Transmission Cooperative, Inc.
To allow for the construction of those facilities, and to address the need for a more reliable power supply, the rurals’ power supply contracts were assigned to NEG&T in 1966, with a consolidation of those contracts into one power supply contract between the Nebraska Public Power District (NPPD) and NEG&T in 1972. To convey the benefits to the rurals’, power supply contracts were executed with each of NEG&T members in 1966. Over the years, both the NPPD/NEG&T and NEG&T/Member contracts were revised and extended such that both now have terms ending in 2035. The actions of those foresighted rural directors and managers provided for the original interconnections that have allowed Nebraska to receive an enviable supply of cost efficient hydro power consisting of 144 megawatts of year-round firm power, 50 megawatts of summer seasonal firm power, 325 megawatts of summer seasonal peaking capacity, and 95 megawatts winter seasonal peaking capacity. In addition, there is another 50 megawatts of summer seasonal firm power and 50 megawatts summer peaking capacity provided to Nebraska from Western. This is designated “Irrigation Pumping Power” and has direct value to the rurals. This 100 megawatts is made available to the rurals through the previously stated contractual arrangements between NPPD/NEG&T and it’s members. Political and operational concerns of the rural distribution systems during the late 1950′s and early 1960′s were the catalyst for the formation of NEG&T and the members’ assurance of an affordable power supply for their customers was the goal. About this time, a new power supply was becoming available through the construction of dams along the Missouri River. NEG&T members saw the benefit of acquiring such power, but the only way to access it was to interconnect with the federal (Western) transmission grid. The end result was that NEG&T went to the Rural Electrification Administration (REA) and acquired the necessary funds to construct the first 230 KV lines in Nebraska from Ft. Randall, South Dakota, to Columbus, Nebraska. As additional federal power become available, further interconnections and transmissions facilities were needed. 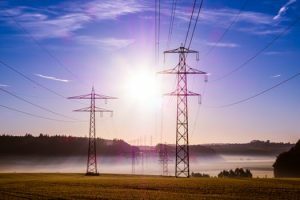 Again, NEG&T acquired REA funds to provide for the construction of 115 KV lines from Mission, South Dakota, to Valentine, Nebraska, Ainsworth, Nebraska, to Thedford, Nebraska, 230 KV lines from Ft. Randall, South Dakota to Columbus, Nebraska and Hinton, Iowa, to Twin Church, Nebraska, along with the associated substation facilities needed to interconnect with Western APA’s transmission system. In 2018, NEG&T sold 4,035,206 MWH to their members with a summer peak demand of 853 MW. Average wholesale power purchased costs for NEG&T members was 60.57 mills in 2018. Adherence to the seven cooperative principles is what makes cooperatives different. Voluntary and Open Membership – Cooperatives are voluntary organizations, open to all persons able to use their services and willing to accept the responsibilities of membership, without gender, social, racial, political, or religious discrimination. Democratic Member Control – Cooperatives are democratic organizations controlled by their members, who actively participate in setting policies and making decisions. The elected representatives are accountable to the membership. In primary cooperatives, members have equal voting rights (one member, one vote) and cooperatives at other levels are organized in a democratic manner. Members’ Economic Participation – Members contribute equitably to, and democratically control, the capital of their cooperative. At least part of that capital is usually the common property of the cooperative. Members usually receive limited compensation, if any, on capital subscribed as a condition of membership. Members allocate surpluses for any or all of the following purposes: developing the cooperative, possibly by setting up reserves, part of which at least would be indivisible; benefitting members in proportion to their transactions with the cooperative; and supporting other activities approved by the membership. Autonomy and Independence – Cooperatives are autonomous, self-help organizations controlled by their members. If they enter into agreements with other organizations, including governments, or raise capital from external sources, they do so on terms that ensure democratic control by their members and maintain their cooperative autonomy. Education, Training, and Information – Cooperatives provide education and training for their members, elected representatives, managers, and employees so they can contribute effectively to the development of their cooperatives. They inform the general public, particularly young people and opinion leaders, about the nature and benefits of cooperation. Cooperation Among Cooperatives – Cooperatives serve their members most effectively and strengthen the cooperative movement by working together through local, national, regional, and international structures.